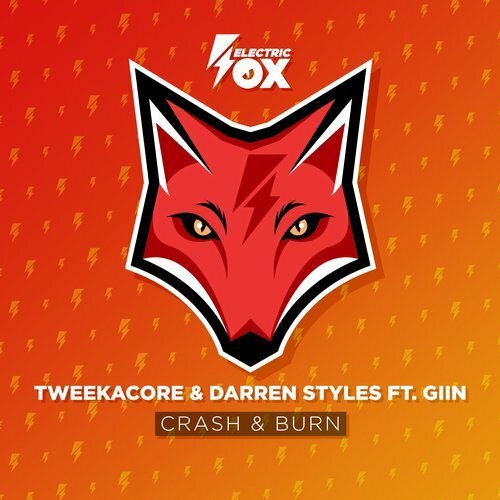 Tweekacore and Darren Styles have teamed up for a high octane tune called “Crash & Burn” featuring Giin. The psytrance/hardstyle fusion was released on their record label Electric Fox, a sublabel of Dirty Workz. Kenth Kvien and Marcus Nordli, who are from Norway and now live in Belgium, are originally a duo called Da Tweekaz and created the alias to showcase a different side of their musical style. United Kingdom native Darren Mew has previously collaborated with the duo in “Partystarter” and “Down With The E“, as well as performing a number of back to back sets together. The guys have played their track at festivals like Defqon.1 in the Netherlands, Tomorrowland in Belgium, Defqon.1 in Australia, and Qlimax in the Netherlands.